The TurboXS catback is a perfect complement to the TXS Cold Air Intake (WS08-CAI). Once you have opened up the airway for your beast to breathe you have to improve the way to the exhaust gases escape. What better way to do so than with a stainless Steel 3 inch mandrel bent catback system? 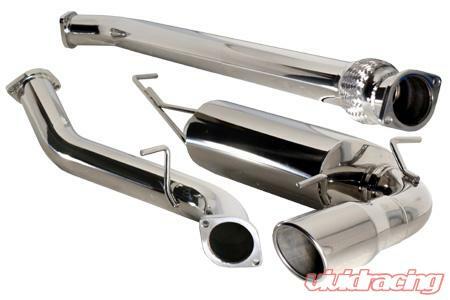 TurboXS had their engineers start from scratch on a new muffler specifically for the 2008 that flows very well and does a great job of making the WRX sound it;s best. From start up to redline the unique tone matches the refined look of the 2008 WRX.